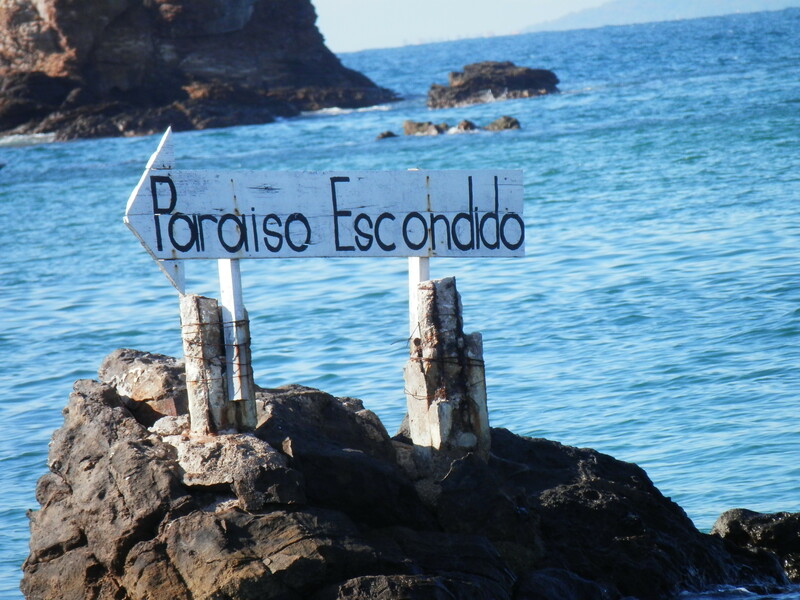 Friends invited the Senor and I to spend the day with them at Ixtapa Island today, so back to the beach we went. 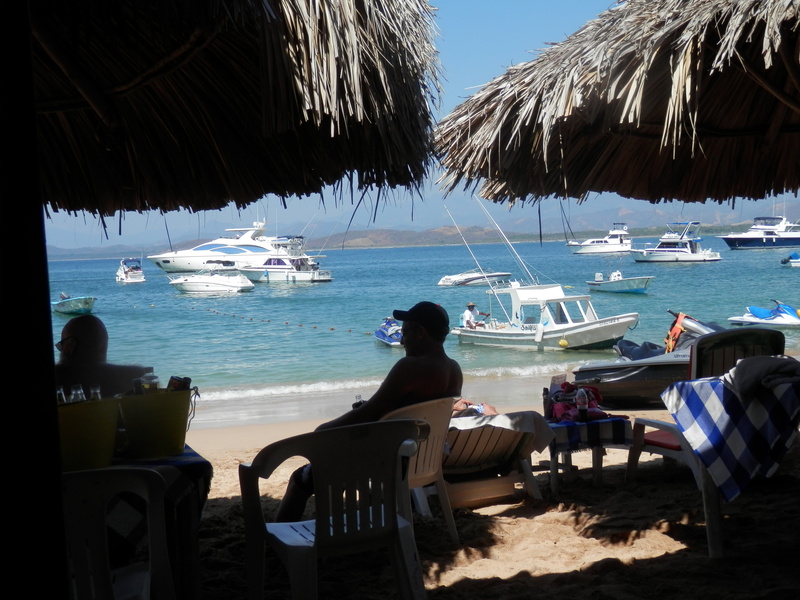 Charlie and Christine picked up the 4 of us and we drove to Playa Linda were we caught the water taxi to the island. 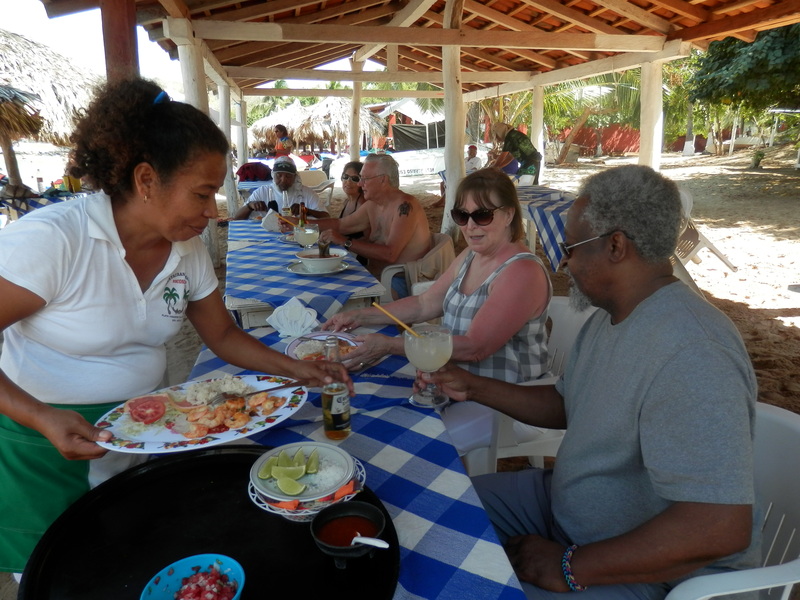 We always go to Paraisio Esconido where we get great food and service from Juan and his lovely wife. 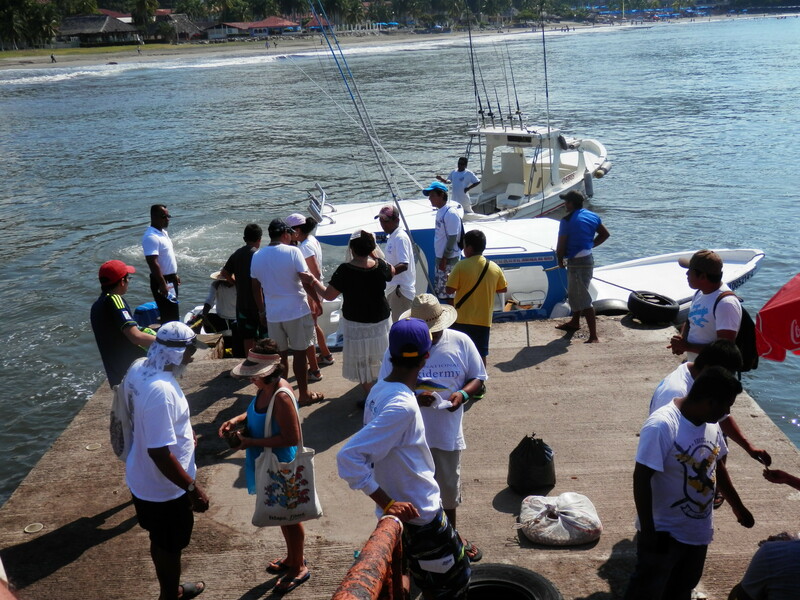 It was a beautiful day, a huge, beautiful yacht pulled in I swam out to it and if they had been friendly I was going to ask for a tour, but they weren’t friendly. What a disappointment! Lunch was excellent, the company was also. 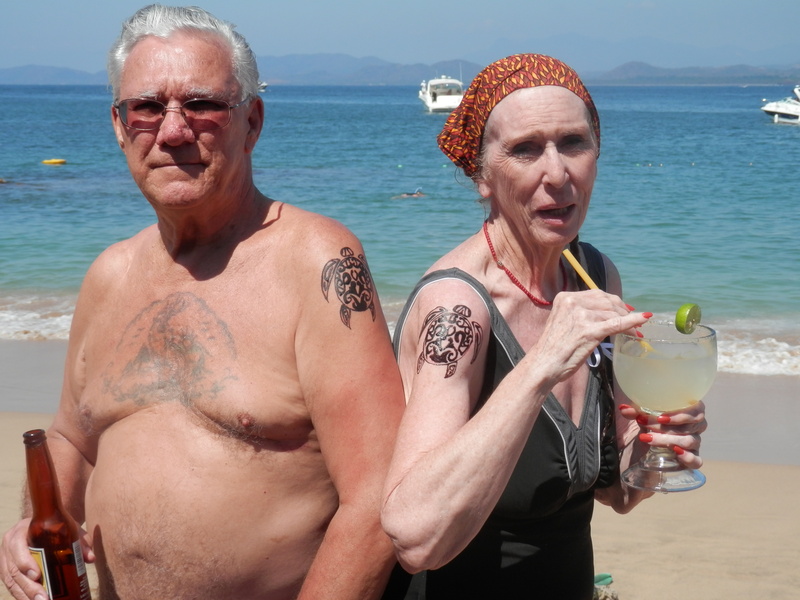 The Senor and I got matching tattoo’s in an attempt to scandalize our children. They weren’t shocked, the replies I got were ” I hope it’s real” and “You are having too much fun”, haven’t heard from the rest yet. One of the people we met there was from Lake Tahuya, WA. Small world, you have to be from our home area to have ever even heard of Lake Tahuya. 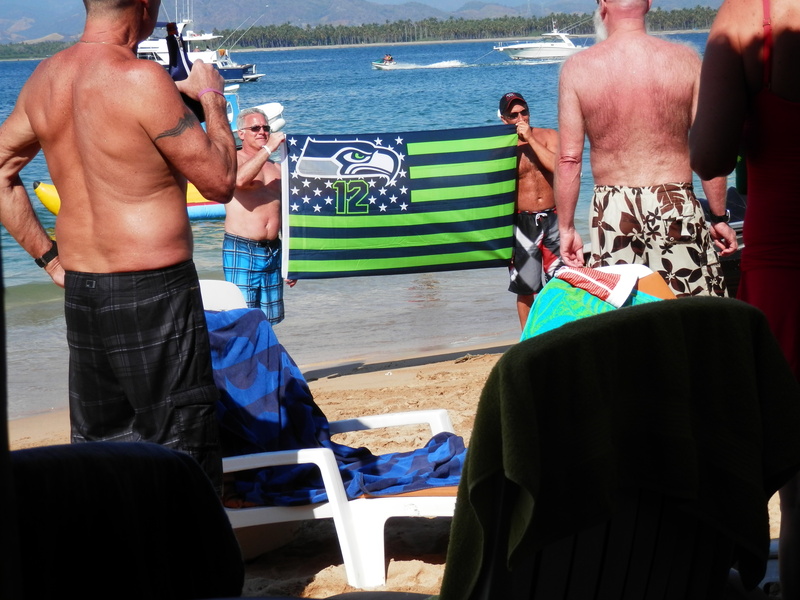 But there on the beach of Island Ixtapa in Mexico is a beautiful 12th man flag. GO HAWKS! Hi Linda, our matching tattoos are heanna. They last for about 2 weeks I”m told. Thanks for the kind words. 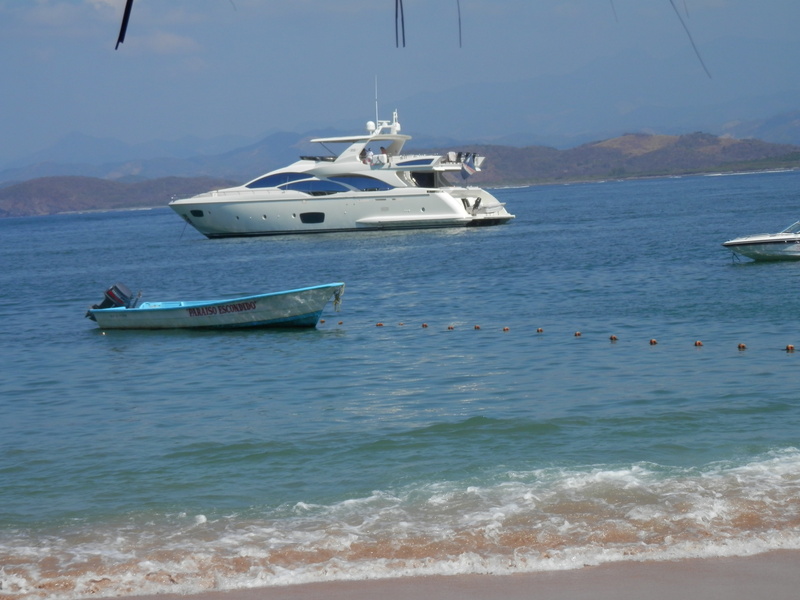 Next Next post: DO YOUNEED A PHONE WHEN ON VACATION?